Vote now—and vote daily—to choose your favorite among the penny projects competing to win this month's Bob Vila Thumbs Up competition! They’re at the bottom of your pockets, purses, or change jars—but did you ever stop to consider their DIY potential? That’s right, we’re talking about pennies! They can dress up anything from a kitchen countertop to a custom made sign. And their copper tone makes them a coveted material for anyone who wants to showcase the new copper trend in their home for, well, mere pennies. For their resourcefulness, this month’s Bob Vila Thumbs Up competitors, all get a big round of applause. 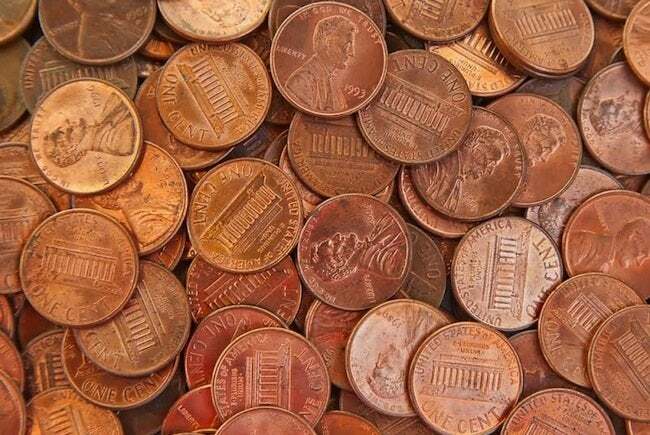 Pennies are pretty easy to use in your DIY project. But each penny project can pose specific challenges, too. These bloggers have invented different methods for shining, cutting, bending, or adhering pennies to their surfaces—and they all get points for creativity. But only one can win this month’s prize—a $250 gift card. So cast your vote today and every day in February to help your favorite blogger win the prize and be the this mont’s Bob Vila Thumbs Up winner. After all, it’s your vote that determines the outcome of this competition. Congrats to last month’s winning blogger, Two Thirty-Five Designs. Read more about the winning Bob Vila Thumbs Up project right here.